Turth: Anakin and Monica used to be best buds after he got jealous of Monica taking Obi-wan. 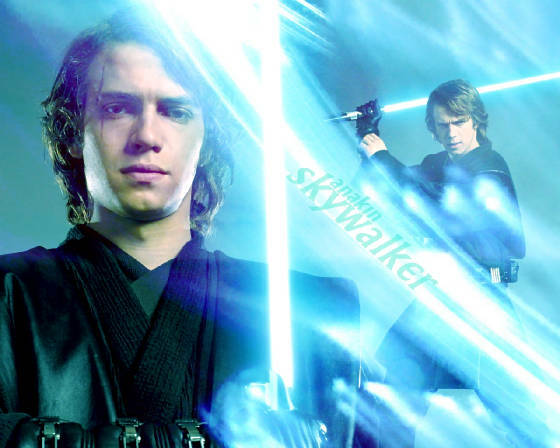 Anakin is someone who can trust only if you are on the dark side. Anakin had feelings for Padme but he's feelings killed her. Anakn always wanted to marry Monica-Gon Jinn but couldn't because she was getting married to Obi-wan Kenobi. Monica was trying to cheat on Obi-wan Kenobi. Anakin and Monica started dating, but the dating turned into a relationship. When Obi-wan Kenobi found out that Monica was dated Anakin he got upset and he threw Anakin against the wall. Obi-wan and Monica had been against each other but made up afterwards. Obi-wan surpised Monica with a proposal on Coursant. Obi-wan and Monica got married between in the Revenge of the Sith. Truth: In past Anakin had dated Monica. False: Master Yoda did know that Anakin had feelings for Padme, but he heart was more on Monica. Truth: Anakin Skywalker got mad at Obi-wan Kenobi because he married Monica-Gon Jinn. Anakin wanted to kill Monica's while she was in pregnancy. False: Padme was not mad at Monica dating Anakin. False: Anakin Skywalker is not the father of Monica-wan kenobi children. False: Obi-wan Kenobi never dated another Jedi in his life. He never even liked the girls he liked before Monica. Truth: Padme and Monica were bestfriends.